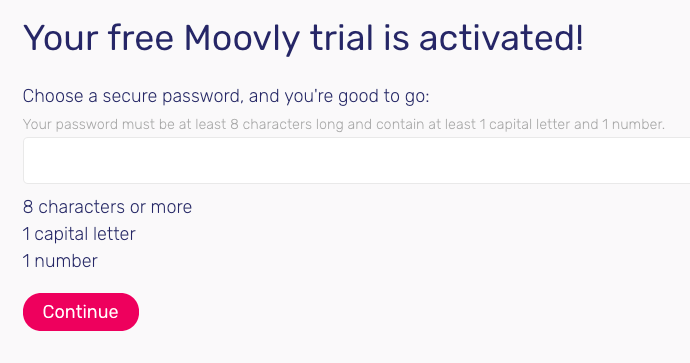 Note: Moovly also provides other single sign-on options for large user environments (platforms, partners, companies). In such cases, specific registration and login instructions are provided. When you create an account using the email + password combination, an activation email will be sent to your mail address. Click the link in the email to activate your account(*). If the activation mail has not arrived in your mailbox, please check your spam folder. In general, make sure to whitelist mails from moovly.com in your mail settings, as Moovly frequently sends mails for download or sharing notifications, password reset etc. In case you sign up using the Facebook or Google login buttons, you use your Facebook or Google account to login to Moovly. In such case, activation by Moovly is not required as the verification of your email address already happened by these companies. Make sure to remember which registration method you used to sign up to Moovly. 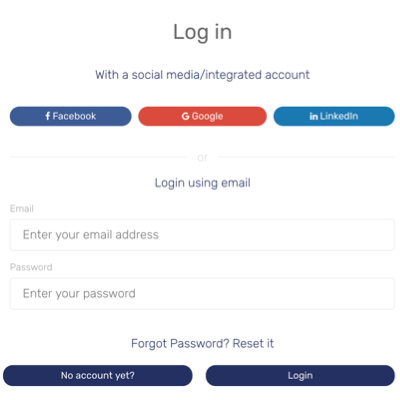 For example, if you created an account using the email+password method, you should login that way. If instead you click the Facebook or Google button, a new, different account will be created. In that case, you will land on a new, empty Moovly Dashboard. If you are looking for previously created Moovs or previously uploaded Personal Library objects, you may have logged into a different account. When you use the Google button to login via Chrome, your Google account you have used to login to Chrome will be used to sign-up or login to Google. If you have multiple Google accounts, make sure to verify you are signed in in Chrome with the account that corresponds to your Moovly account. If you forgot your password, click the password reset link and follow the steps to choose a new password. Please note that passwords need to be at least 8 characters long and contain at least one a number and one capital letter.